KS2 @ Hill Mead Primary, Brixton: Who is Frank Auerbach? 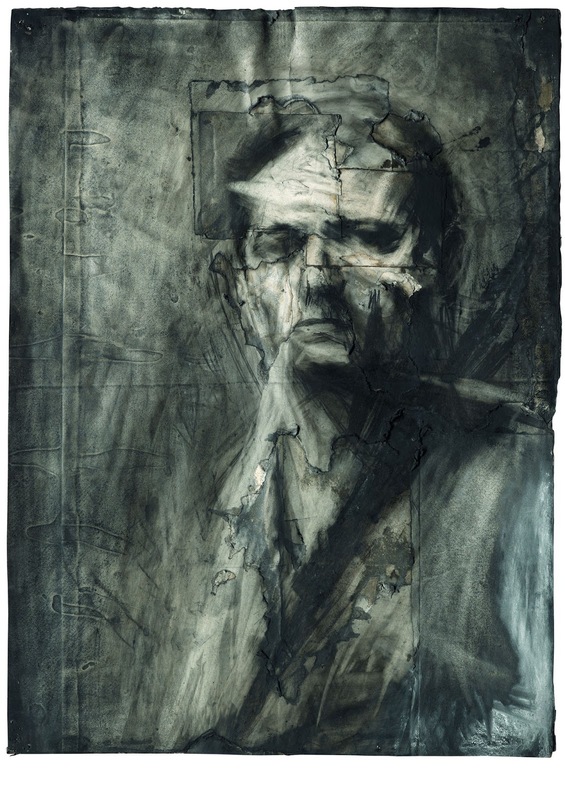 This is portrait of Frank Auerbach. Use the internet to research who he is. Find out about his life, his work, and why he is famous. Look for interesting or unusual facts about him. 3. What happened in his childhood? 4. Did he only paint portraits? 5. How did he use paint? 6. How big was his self portrait? 7. When did he make it? 8. What did he use to make it? 9. What age was he? 10. What do you think about the self-portrait? When he was a few weeks away from his eighth birthday his parents put on a train going from Germany to Britain.It was April 1939 and he would never see them again. Frank Auerbach was born in 1931 in April the 29 and he was famous artist. In 1939 he was sent to Nazism. His parents died in a concentration camps.He also spent his childhood at a progressive boarding school. He was born in Berlin. His parents were Jewish.His father was a lawyer and his mother a former art student. A quote from Frank Auerbach: I destroy things every day in the act of working and often recall a picture I had considered finished in order to rework it. Auerbach was born in Berlin, the son of Max Auerbach,his parents sent him to Britain in 1939. he taught camberwell school of art. he became a pupil at Bunce court school. Frank Helmut Auerbach was born in 1931 April 29. He is British painter who was born in Berlin in Germany. 1)Frank Auerbach was born in Berlin. 2)He was born on the 29 of April in 1931. 3)He spent his childhood at a progressive boarding school,called Bunce court at Lenham near Faversham, Kent a school for Jewish refugee children. QUOTE= I'm hoping to make a new thing for the world that remains in the mind like a new species of living thing. His self portrait was done in 1958. In his childhood he was in board school in Bunce Court. "I destroy things every day in the act of working and often recall a picture I had considered finished in order to rework it"
"I'm hoping to make a new thing for the world that remains in the mind like a new species of living thing"
"It seems to me madness to wake up in the morning and do something other than paint, considering that one may not wake up the following morning." He almost became an actor.his interest in art proved a stronger draw and he began studying in London. Auerbach was born in Berlin. His parent sent him to Britain in 1939. In Germany 1942 Auerbach's parents died. 5)He was a serious painter and did not smile. Helmut Auerbach was born in Berlin,Germany. Frank Auerbach was a great artist.He self portrait of him self. He was born in 29 of April in 1931 is a British painter. He was traveling to Germany he has been a naturalised British citizen since 1947.